Debt Validation Programs – How to FIGHT a DEBT and WIN! Debt validation programs dispute the validity of third-party debt collection accounts. Credit card debt is the most popular type of debt that can be included in the program, but second to credit card debt is private student loan debt. Just like when you get a speeding ticket, there’s a process you can use to challenge the ticket and get it dismissed. That same theory is used in a debt validation program. Yes, you were speeding, but that ticket gets easily dismissed when properly challenged. Keep in mind, they must provide these items within 30-days of being requested. If they can’t supply any of the following requested items, the debt collection company cannot continue collecting on the debt. The information must also be 100% accurate in order for a debt to be validated. If one “T” isn’t crossed or an “i” not dotted, your debt can be invalidated. the copy of the original contract is requested. a statement showing how the interest was calculated and a breakdown of each statement illustrating what services were added is requested. their debt collector license that is legally required to collect on debt in the state where you reside is requested. a legally required 14-page debt collector disclosure statement is requested. Now keep in mind, this is a micro-version of what is being requested on a debt validation program. 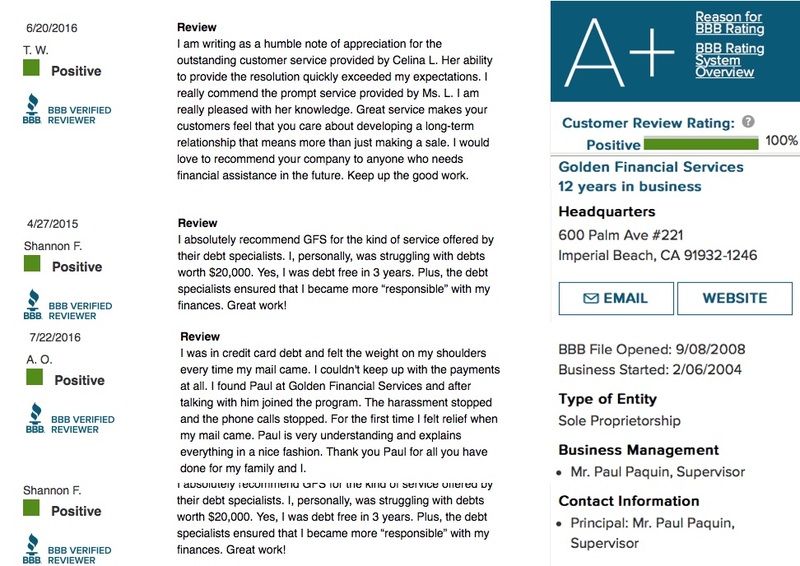 In the debt validation program that we recommend at Golden Financial Services, there are actually over 30-pages of documents that are sent to your debt collectors on round one! They must go through each page, line by line, and send in everything being requested — and required by laws. The case managers and debt defense team continue challenging a debt, until the debt is “fully disputed”. Every legal debt relief angle is used to force your creditors to play by the rules. 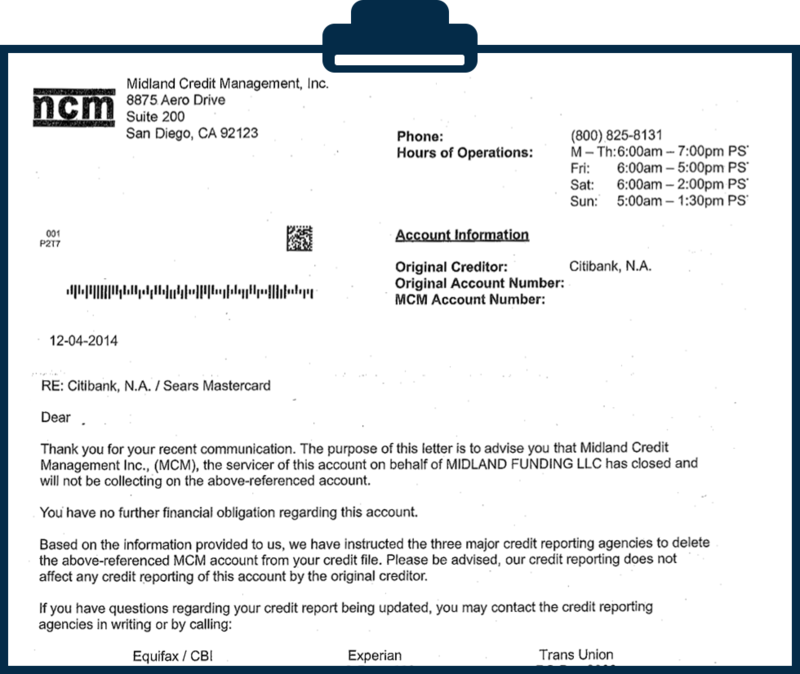 Here is an example — debt validation letter — the debt collection company agrees to stop collection on the debt and remove the derogatory information from the consumer’s credit report. What the letter above represents, is legally defensible evidence that the debt is “invalid” or “invalidated”. The debt collector can no longer legally attempt to collect on the debt. You get credit restoration included with the debt validation program for “No Extra Cost”. The credit restoration begins at the beginning of the debt validation program, where random credit mistakes appearing on your credit report get disputed. If a debt collection company validates the debt with all of the accurate and complete documentation, you get a full refund for any funds paid towards that account. Unlike unscrupulous debt settlement companies that charge up-front fees and don’t resolve your debt, this debt validation program comes with a 100% money back guarantee. If a debt is validated, Golden Financial Services has a back-up plan to then negotiate and reduce the debt. No matter what, we make sure our clients’ debts are all resolved. Just cruise the internet and look at all of the positive client reviews listed on many different sites including Yelp, Google, Facebook, TrustPilot and Trusted Company Reviews. CALL 1-866-376-9846 TO FIND OUT HOW FAST YOU CAN GET BACK ON TRACK WITH TOP NOTCH FINANCES! Give our highly trained agents a call at 1-866-376-9846. We can answer your questions and provide you with a detailed analysis on how to resolve your debt. All of our representatives pass a strict curriculum and extensive training, prior to being on our frontline team. So take advantage of the free consultation and get your debt validation program quote now. Copyright © 2004–2018, Golden Financial Services. Golden Financial Services ® is a registered trademark of Golden Financial Services Debt Settlement Corporation.